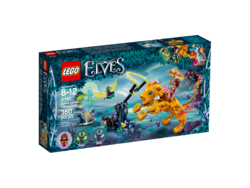 41192 Azari & the Fire Lion Capture is an Elves set released on January 1, 2018. 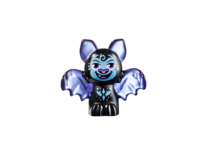 Seek the magic within to help Azari and the Guardian Fire Lion face the shadow bats! 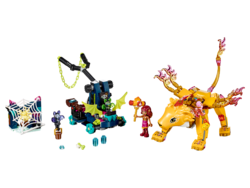 This thrilling LEGO® Elves construction toy features a buildable magic fire lion with movable legs, wings and tail, opening jaw and space for a mini-doll figure. There's also a bat capture vehicle with raising chain pole, catapult and detachable small glider, plus a small bat cave with opening spiderweb door, 2 bat beds and additional accessories. Includes a mini-doll figure, plus 2 bat figures and a spider figure. Facts about "41192 Azari & the Fire Lion Capture"